The Bombardiers started the season 3-2, but closed with only one win in the final six games, including a pair of losses to league rival and eventual Super Bowl champion King Philip. Injuries piled up for Attleboro in 2016, but it gave a number of players the chance to gain valuable varsity experience and the Bombardiers have high hopes for improvement this fall. Experience at the skill positions is one of the reasons for optimism at Attleboro. Senior Cam Furtado is slated to start the season at quarterback and has proven to be a dynamic playmaker. 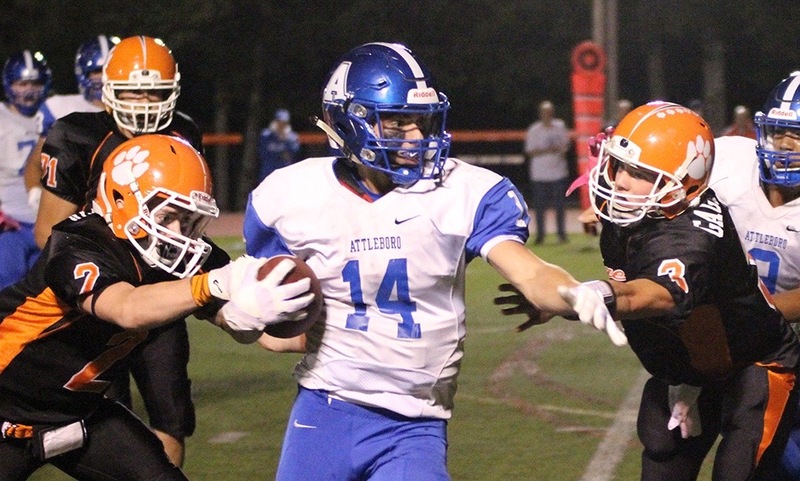 Classmate Elvin Sam emerged as a big play weapon last fall, whether in the backfield or split out wide, and tight end James Weir gives Attleboro an option in the middle of the field. Wideout Josh Therrien and running back Justin Cote could also play bigger roles with running back Marcus Blaise adding depth. Attleboro also has a strong returning core on defense with Furtado, Sam, and Therrien in the secondary and Weir joining senior Nate Barboza and junior Jacob Weatherford at linebacker. Matt Corrado, Matt Jimenez, and Kyle Walsh will give the Bombardiers strength on both sides of the line and junior Nick Evans could be poised for a breakout year after moving from linebacker to defensive end. Sophomore Qualeem Charles is also a player to watch on the line. The first season for the Panthers under new head coach Eian Bain was a struggle at times for a young roster that was adapting to new systems on both sides of the ball, but there is hope that the experience gained last fall will pay dividends in 2017. Franklin will have a number of returning players to count on this season. Offensively, Franklin will have to find ways to make up for the production of graduated running back Jacob Wolowacki, who was a go-to weapon in the ground and passing games. Senior quarterback Jake Noviello will be counted on to lead the offensive unit after more than 1,700 yards and 15 touchdowns last fall. Junior wideout Sean Leonard started all 11 games last year and will be a tough matchup for defenses along with fellow receivers Jack Nally, Will Davis, and Evan Wendell and running back Sean Hofferty. Three-year starter Brian Kosicki will be the leader of the offensive line and tight end Patrick Morrison will be a weapon in the passing game. On defense, the Panthers have depth in the secondary, including junior safety Nolan McLaney, who was second on the team in tackles last year. Junior Ryan Driscoll has speed on the corner and Bain called him the “focal point” of the defense. Nick Gordon will hold down the other corner spot. Senior defensive end Jackson Gilbert is coming back from injury that cut short his junior season and will add strength on the edge. Junior Riley Downing gives Franklin size and speed in the middle of the line. Key/Returning Players: Brendan Lydon, Sr., QB; Evan Rice, Sr., RB/LB; Shane Frommer, Sr., RB/DB; Dylan Leonard, Sr., RB/LB; Cole Baker, Soph., K; Andrew Dittrich, Sr., WR/DB; David Morganelli, Jr. WR/DB; Anthony Vahue, Sr., OL/DL; Jack Webster, Jr., LB. What will the Warriors do for an encore? King Philip won its third league title in the past five years, second outright Kelley-Rex title in the past three seasons, and completed an unbeaten season with a win over Reading in the Div. 1A Super Bowl at Gillette Stadium. Despite losing a large and influential senior class, the Warriors are being picked by some to repeat at champs this fall. One reason for continued belief is the return of senior quarterback Brendan Lydon, who showed poise in the pocket and the ability to make accurate passes downfield in his first year under center in 2016. Yale-commit Shane Frommer is also back for his senior season and will be the feature back for the Warriors in a system that prides itself on pushing teams around on the ground. Beyond that, it will be up to a group of rookies to make an impact. KP will boast an entire new offensive line, anchored by senior Anthony Vahue, and all new receivers. 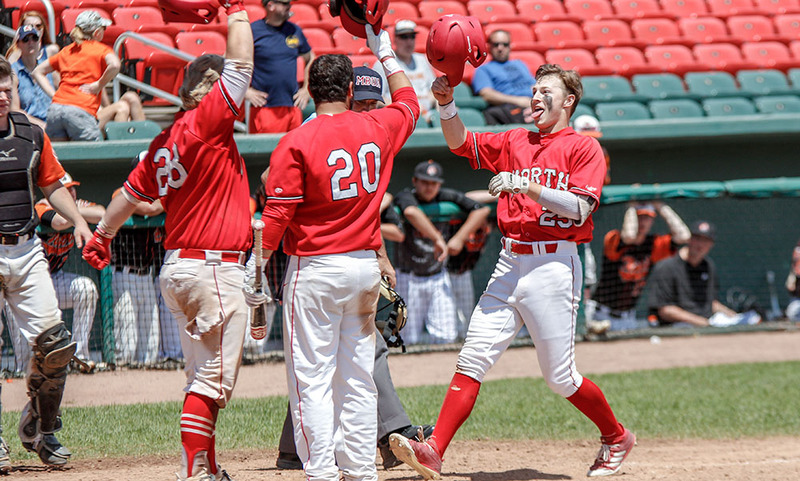 Junior David Morganelli will be one of the options for Lydon. The Warriors boast a bit more experience on the defensive side of the ball. Even though a good chunk of starters are gone, KP’s rotation last year allowed for players like Evan Rice (defensive end), Jack Webster (linebacker) and Dylan Leonard (safety) to see action. Frommer will be back opposite Webster while Vahue will also play on the defensive line. Andrew Dittrich returns as a starting corner back to anchor the secondary. Although there are a lot of new faces on this year’s roster and a lot of leadership missing from last season’s championship squad, head coach Brian Lee has instilled a toughness that permeates the program and expectations are that KP will have a decent chance at lifting a trophy again this fall. The Hornets finished second in the Kelley-Rex division last year, with the only Hock loss coming by three points to league champ King Philip. 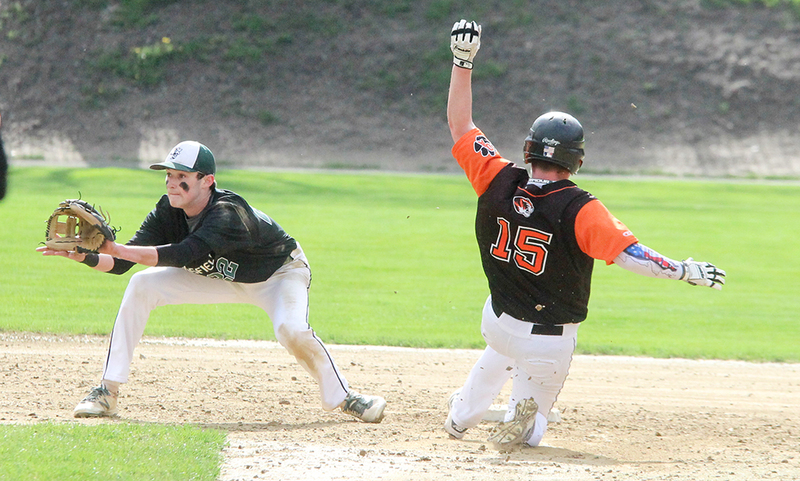 Mansfield was stunned in a playoff thriller against Marshfield, but then bounced back to beat Div. 1 playoff teams Needham and Newton North and will enter 2017 with typically high expectations, as the Hornets look to win their first league title since 2013. A strength for Mansfield this fall will be the experience it returns at the skill positions led by senior wideout Hunter Ferreira, who has emerged as one of the area’s top receivers. The backfield will once again be loaded for the Hornets, who will count on seniors Danny DeGirolamo and Joe Cox and juniors Khristian Conner and Aidan Sacco. New quarterback Damani Scott will try to make use of that talent and the 6-foot-3 junior has a big arm to make plays downfield. Cox and Ferreira will add strength and speed to the linebacking corps, while seniors Mike Shannon and Jareme DiLorenzo will provide a pass rush at the defensive end positions. Conner, Sacco, and DeGirolamo will all return in the secondary. If there are questions for the Hornets, it will be at the line of scrimmage; senior Will Shield and junior Colbey Eason have returned and will be the players to build around on the offensive and defensive lines. 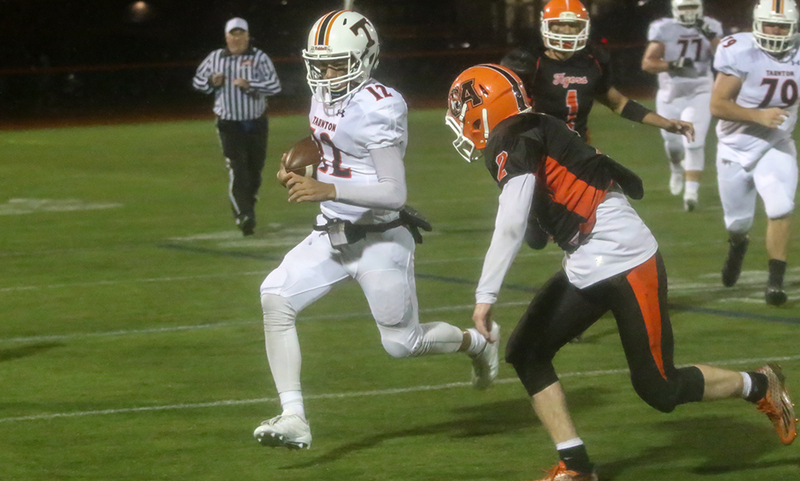 The Tigers got off to a promising start to 2016, winning two of the opening three games including a dramatic one-point win over Franklin, but Oliver Ames struggled down the stretch against a difficult schedule. Now entering his third year, head coach Mike Holland is confident the program is heading in the right direction this fall. According to Holland, the Tigers’ strength on the offensive side of the ball is the experience of playing in the system for several seasons and a greater understanding of the concepts. 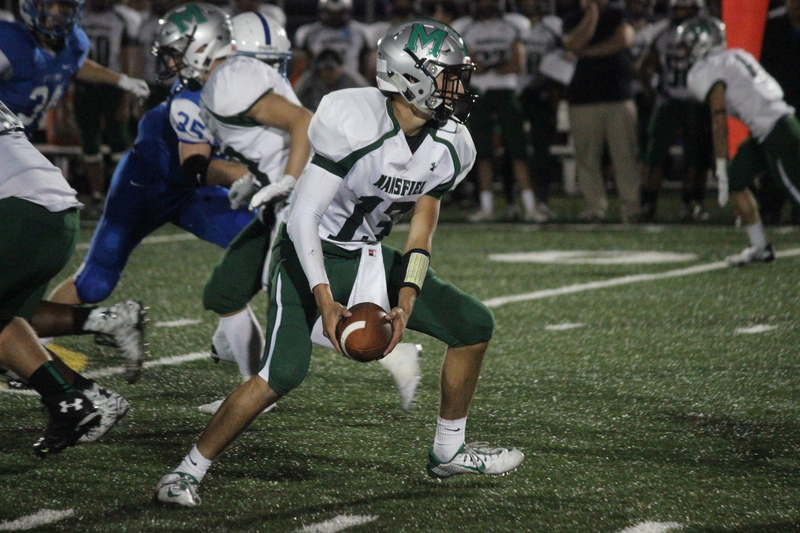 Senior Curtis Cann will lead the attack after taking over as the starting quarterback last season and he has several talented weapons on the outside in seniors Michael Mulrean and Noah Fitzgerald. Jay Fruci will be one of the returning players in the backfield, lining up behind a big offensive line. Jack Mills will be a mainstay in the middle on both sides of the ball and is one of the top lineman in the league. He will be paired with fellow senior John-Michael Cole on the line, giving the Tigers depth in the trenches. Fitzgerald and Mulrean will also be important contributors in the secondary, while Fruci will bring athleticism to the linebacking corps. Holland wants his defensive scheme to take advantage of the team’s speed. The Tigers narrowly missed out on a winning record in their first season under head coach Brad Sidwell and showed signs of improvement, including a narrow, three-point loss to Mansfield. In year two, Sidwell is hoping for even more and Taunton has potential on the roster to be a tough out in the league. Losing wide receiver Adam McLaughlin to graduation will certainly impact the offensive attack, but junior quarterback Noah Leonard returns for his second season under center and will look to build on the experience he gained last fall. With a number of athletes at the skill positions, including senior Collin Hunter and junior Brayden Merrill at wideout and T.J. Mendes in the backfield, Taunton will use a number of formations and styles to cause matchup problems. Sidwell expects the passing game to be a major strength for the Tigers. Defensively, Taunton will have a number of new faces, but has size and experience at the line of scrimmage. Seniors Paul Corrao and Zakim Harrow and junior Cam Correiro will all make a significant impact on the battle in the trenches. Senior Nuno Camara provides experience to the linebacking corps, while Merrill and Hunter will be important in the secondary.